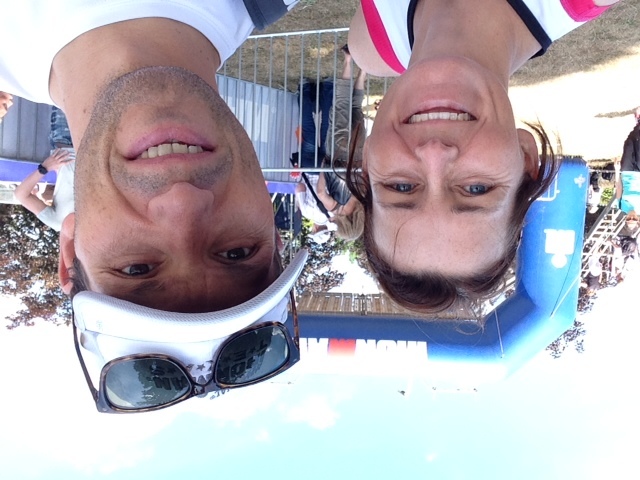 Meet some of Team EN members competing at Ironman® Hawaii 2014! I am an ex rugby player, then fell(mountain) runner and then triathlon for last 12 years. Hawaii will be my 35th full IM and 6th this year—yes a bit silly but I had my reasons. I did Hawaii in 2011 but had a torn calf muscle from a half marathon 3 weeks before so the ‘run’ was a walk–I knew beforehand it would be. So this time I hope to be at least injury free if not a little tired! I’d like to enjoy the day and get under 12 hours. I live in the NE of England in Sunderland and will be with my wife Dot, son Gary plus wife Amy, 2 grandkids, daughter Wendy and husband Gareth. The other son will be doing IM Barcelona on 5th Oct! This is my first time to Kona and my 5th IM with Endurance Nation. I qualified at 2014 IM Mt.Tremblant. I feel very honored to be in this race and to be representing EN. This is my 4th year racing triathlons, all with EN and I continue to get faster each year, so work really does work. I’ll be joined in Kona by my brother JT (also an EN member) and by my wonderful friends Charlie & Cathy. I have two kids in college but they are very busy with activities and studies and can’t make the trip. I work for Stericycle, a health care services, in business development and mergers & acquisitions (so I help buy other companies). My goal is to enjoy the entire week festivities, finish in a respectable time, & not destroy myself. I have IM Arizona 5 weeks after Kona so this will be a big training day for me. Born and raised in the Netherlands but have lived in the US during various periods in my life and in various locations (Lawrence KS, Huntington Beach CA, Chicago, NYC, The Woodlands TX) as well as 6 years in Barcelona, Spain. Started with triathlon in business school in 2004 and raced both Wildflower and Vineman (full distance) in 2005. Got back into racing after two children were a bit older in 2011 and finished IM Sweden in 2012 in a PB of 9:34. Took a sabbatical from work in 2013 to try and qualify for Kona in 2013 and did both IM Texas and IM Canada but was not able to put a good race together on both occasions. In Kona and with the help of the EnduranceNation training and racing philosophy I hope to put together a solid performance and once again have a decent run. I guess that is my real objective to run a sub 3:45 marathon in Kona. Other than that I plan to enjoy every minute of it. I am 45 years old and I live in Parker, Colorado. I’m happily married with 2 beautiful children, Lucas age 11 and Sophia age 8. This is my second full season with Endurance Nation. Kona will be ironman #3 for me and i still can’t believe I will be racing in the Ironman World Championships, a race I have watched on TV for years. Strangely enough i’m not the least bit nervous on the build up to this race, but I”m fully expecting this to change by the morning of October 11th. My primary goals are to enjoy the experience, stay in the moment, and make a series of good decisions throughout race day. I am from Tokyo Japan. 25 years in triathlon, 3 times Kona, and 2nd year with EN. For the last 3 times in Kona I was just a participant and enjoyed the “festival,” but this time I think I want to try my best to prove myself as a member of EN. Hope to cross the line with my best smile ever. I’m Dave Tallo and I’m thrilled to be back in Kona as part of Team Endurance Nation! This is my third time racing in Hawaii, and my 18th Ironman. I set my race goal for this year about 5 seconds after finishing last year’s race … namely, to improve on last year’s finish time by 20 minutes. Trip #5 to the IM World Championships, still hoping to get it right. Goal this time is the same as the first time … enjoy the day, and don’t blow up on the run. It’s kinda fun being in the center of attention for the tri world for a week! Nothing Makes a Great Finish Like the Family! I am from Barrington, RI. Full time triathlon coach, lucky husband and father. 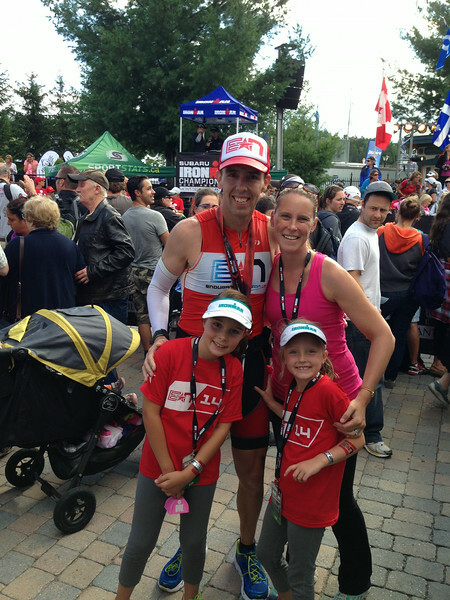 I qualified for Kona at IM Mont Tremblant with a 9:37. This is my sixth Kona race, and I have had varying success on the Big Island depending on the heat. My best is a 9:52, and I’d really like to improve up on that this time around. It’s also our tenth wedding anniversary…super special! Thanks for telling the story behind the race! Best of luck. You’ve got the team behind you!